No time for breakfast?! Think again! 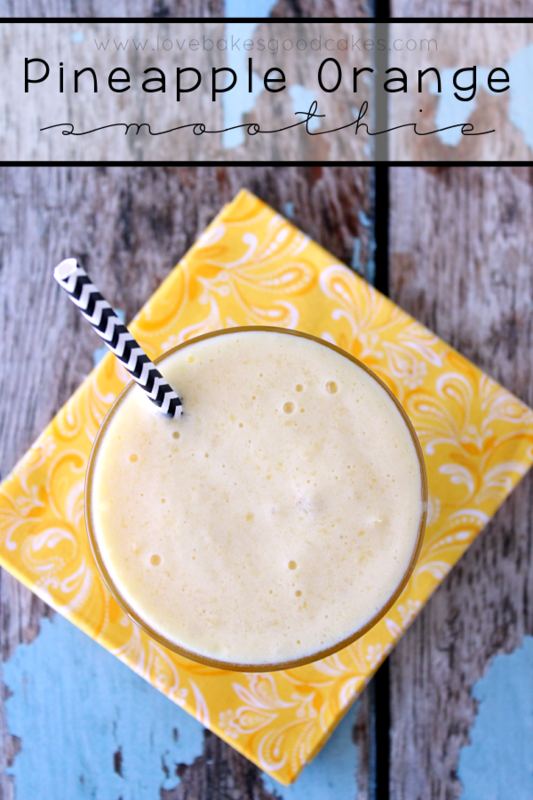 This Banana Bread Smoothie is easy to whip up and is great for breakfast on the go! 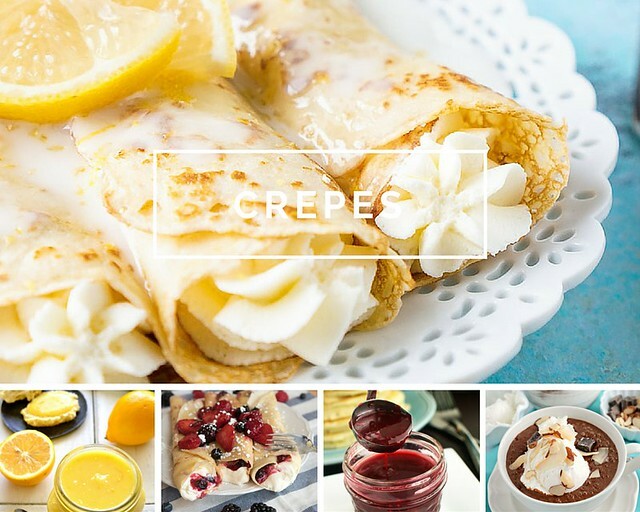 Not only is it delicious, but it’s healthy! 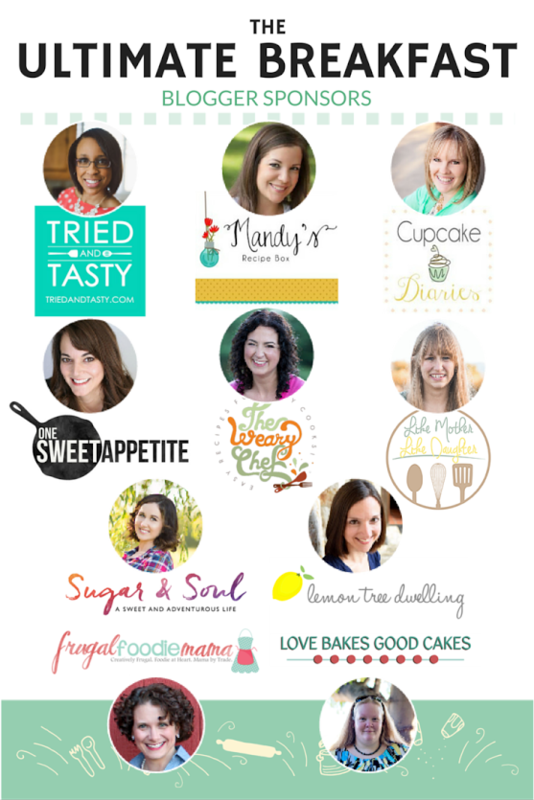 I’ve gotten together with some of my blogging friends to bring you The Ultimate Breakfast Giveaway – where one lucky reader will win an assortment of prizes valued at $1000! 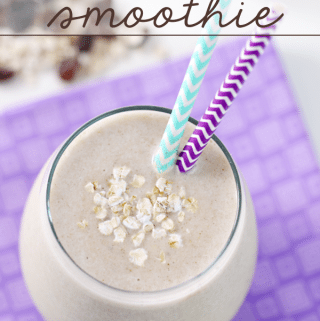 Ten bloggers were asked to prepare different parts of a breakfast bar using a blender – and I made this quick, easy and delicious Banana Bread Smoothie for the breakfast drink! I’ve been trying to make better choices about breakfast, I mean, it is the most important meal of the day. Too many times, I settle for coffee and toast. It’s no wonder why I feel like I’m running out of energy by late morning! One way that I have started eating smarter is by trying to incorporate more oatmeal and fruit into my diet. Smoothies and smoothie bowls have been a real blessing for me – and I have just started getting brave enough to try overnight oatmeal! I’ve had an aversion to oatmeal ever since I can remember – I just don’t like the thick texture. Either I am over the dislike of the thickness of the oatmeal or the stuff I am making is so freaking delicious that I don’t even care. 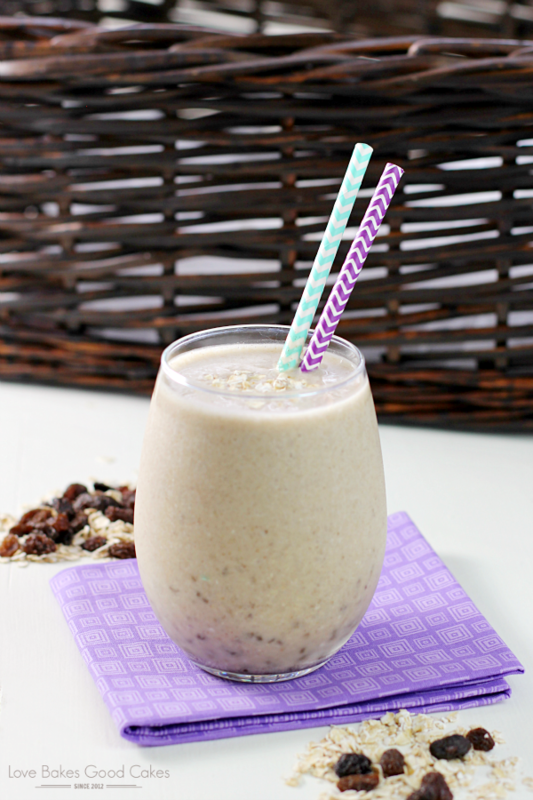 Either way, y’all need to try this Banana Bread Smoothie – it’s soooo good! 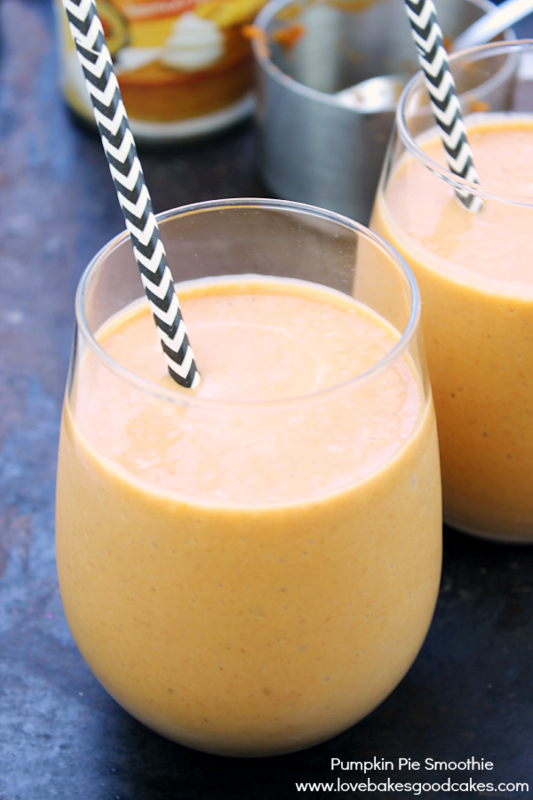 This smoothie tastes exactly like banana bread! It got a big thumbs up from all of my kiddos, too! While we like the additional sweetness from the raisins or chocolate chips, they are totally optional! This has become one of our favorite breakfasts – so much so, that sometimes my kiddos like it in a bowl with additional sliced bananas and a sprinkling of oatmeal and chocolate chips (or raisins). No time for breakfast?! Think again! 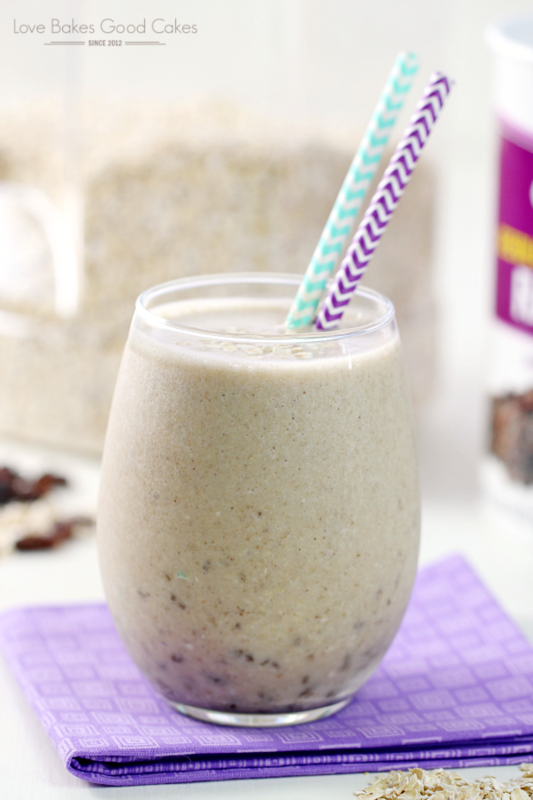 This Banana Bread Smoothie is easy to whip up and is great for breakfast on the go! 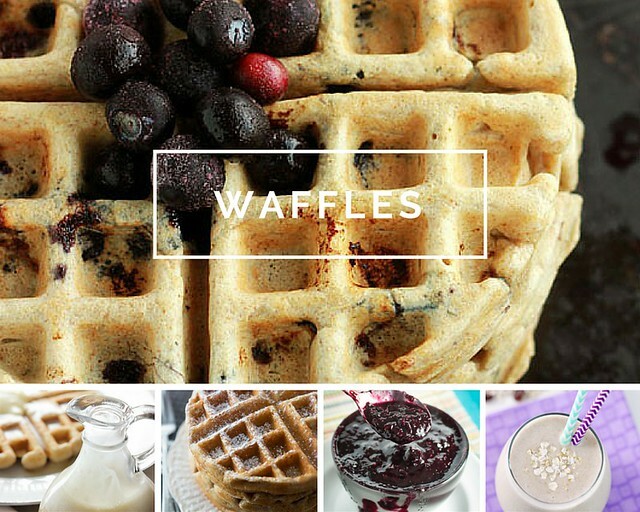 Not only is it delicious, but it's healthy! Add all ingredients to blender. Cover. Blend until smooth. Serve immediately. 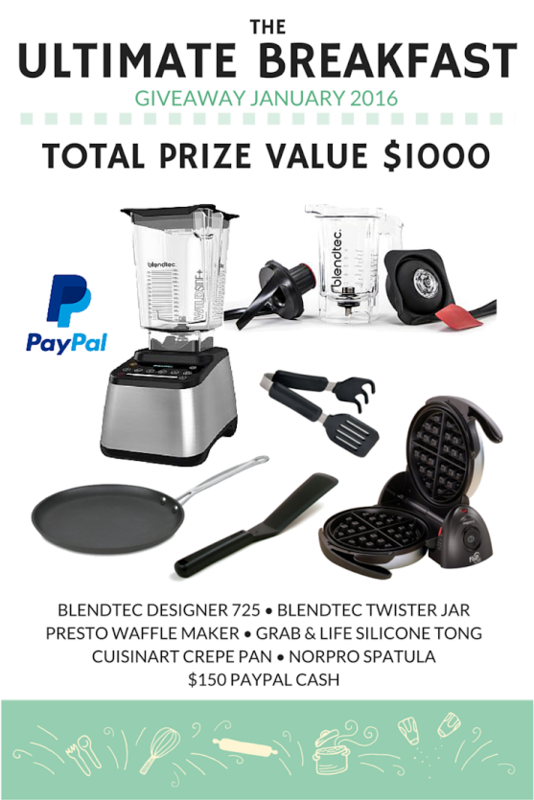 Don’t forget to check out the rest of the recipes for the breakfast bar and be sure to enter for a chance to win in The Ultimate Breakfast Giveaway! Please note: This giveaway is available to US and Canada Residents Only! Thanks for stopping by! 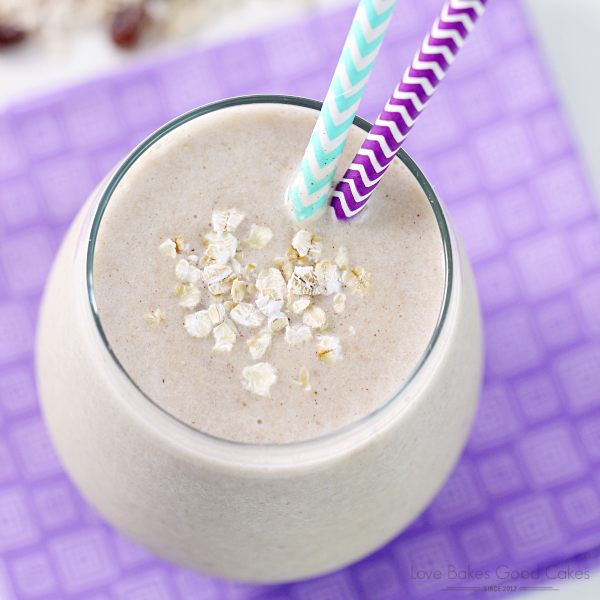 I hope you give this Banana Bread Smoothie a try! Oh man, I LOVE Banana Bread and a smoothie version just might be dangerous! Haha! Thanks so much for another great recipe, Jamie! Okay, what? 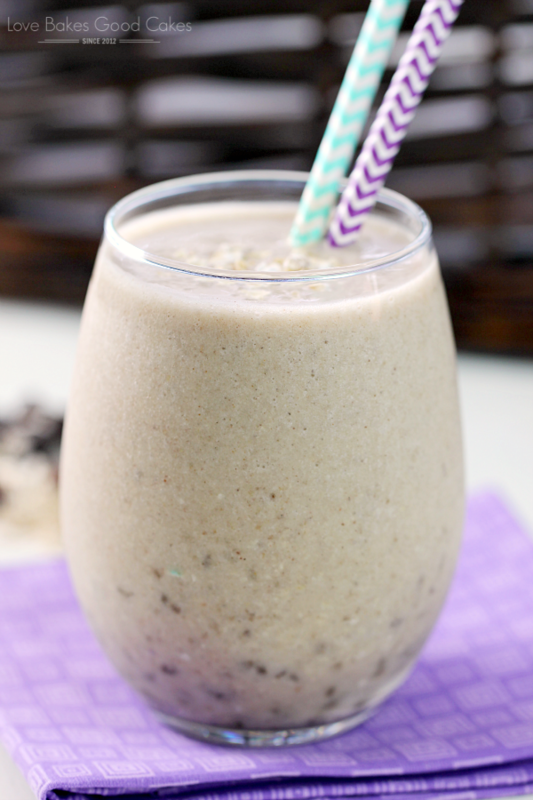 A smoothie that tastes like banana bread is genius! And this looks so delicious! 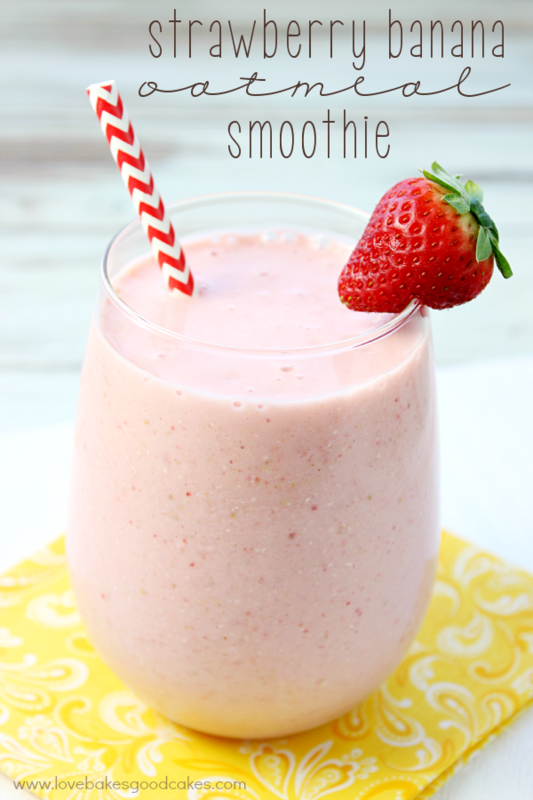 We are on a smoothie kick right now and I cannot wait to try this one! Looks delish. Thank you so much for your ingenious recipe for Banana Bread Smoothie. I am going into the kitchen as soon as I finish this post and freeze a banana. From the ingredient list, I KNOW it will be brilliant. Thanks again. Love blender recipes and your smoothie is very unique, I think Dimitri, especially, would love a glass in the morning ! I'm totally in love with this smoothie! I love banana bread (who doesn't, right?) and I love that this is a lighter, healthier option! 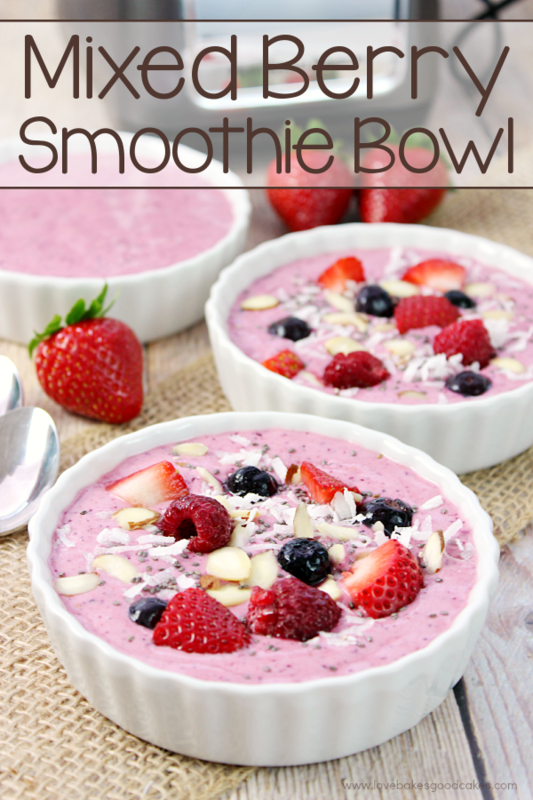 This sounds like not only a healthy breakfast but an easy one! 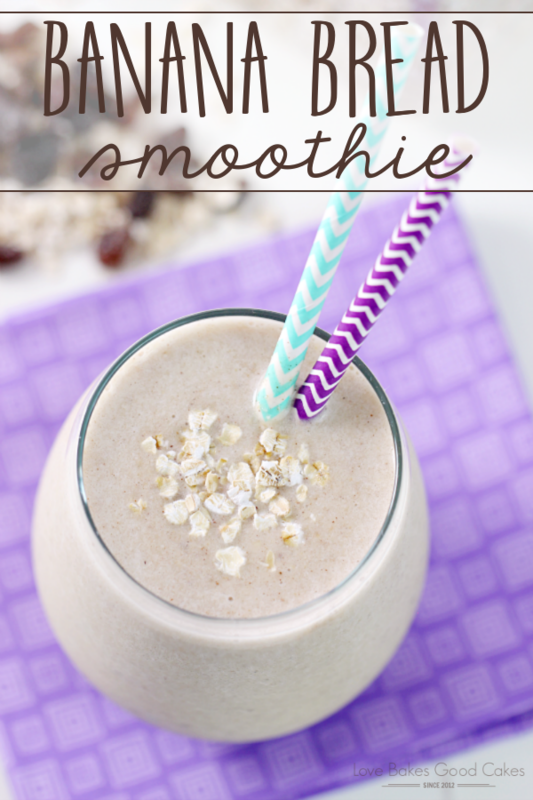 I'm always looking for ways to shake up our smoothies and this is one I just have to try! YUM!! Now I am craving banana bread! What a great smoothie!